An angler finds enjoyment in the preparation, the ritual, the scenery, friendships, and collecting great stories along the way. Catching fish is secondary to the journey itself. Landing a large, beautiful trout requires patience and skill, but it is just as rewarding to enjoy the moment, make a memory, then release the fish so someone else can experience the same enjoyment. Bruce Simon in his home. Bruce Thornton Simon, husband, father, businessman, lawmaker, public servant, Montanan through-and-through, avid angler and friend to many, was born in Billings, Montana, on January 20, 1942. His life, more than anything else, was about giving back – to his friends, to his family, to his community. His proud parents Clark E. and Muriel (Thornton) Simon expected a girl to go along with his older brother, Ronald. They sent a telegram that relayed the surprise to Bruce’s grandparents that simply read, “We named Helen ‘Bruce.’” His parents taught him the value of life. Bruce was raised in Billings, attending Broadwater Elementary, Lincoln Middle School and Senior High School, where he was involved in numerous activities and made many life-long friends. He attended Montana State University in Bozeman, earning two Bachelor degrees (Commerce and Construction Technology) and a Master’s degree in Applied Science. In 1961, Bruce and then-wife Colleen Cahill welcomed their son, Tod Thornton Simon. Three years later, in 1964, their daughter Rebecca Jill Simon was born. Bruce went on to help run the family business, Coles Department Store, with his brother, Ron, after their father retired. Though “the Store” closed in 1985, the Simon family continues to own the Fratt Building where it was located, and the building was a major part of Bruce’s life. He knew every nook and cranny, system and sound of the place. Typical of Bruce’s style, he remained in touch with many former employees nearly 30 years after the business closed. He took pride in their later accomplishments and that many considered him a friend. Bruce gave back to the state he loved. He served as President of the Montana Retail Association for two-and-a-half years. When he was appointed to the Governor’s Council on Management is when he first felt a calling to be involved in public service. His experience on the Council led him to decide to run for public office. He also served on the Private Industry Council. He first ran for and won election to the Montana House of Representatives in 1984. During his seven sessions in the Legislature, Bruce became one of the most respected Representatives, forming consensus and earning a reputation as a fair, thorough and well-prepared Lawmaker and an effective Chairmen and member of the various committees on which he served, including Business and Labor, and the Legislative Audit Committee. Bruce was awarded State Official of the Year from the National Association Of Home Buillders in 1998. He was named Montana Legislator of the Year by numerous groups, including the Montana Optometric Association and the Montana Building Industry Association. He is also the only non-attorney to argue a case before the Montana Supreme Court. He met the love of his life, Sharon (Langstraat) Simon while on a ski vacation in Park City, Utah. He was graceful and smooth on a pair of skis, his fluid turns being recognizable from anywhere on the mountain. After meeting on the mountain, the two had a whirlwind long-distance romance before their wedding in 1972. Sharon and Bruce enjoyed 42 years of marriage together. Their son, David Dean Simon, was born in 1974. While raising his children, Bruce gave his time as a volunteer baseball and hockey coach, and drove hundreds of miles to watch his kids’ teams. He was extremely proud of Tod and his Little League team winning the Montana State Championship and competing in San Bernadino, California in the Regional Tournament as well as Dave’s part of the 1992 American Legion State Champion Billings Royals. 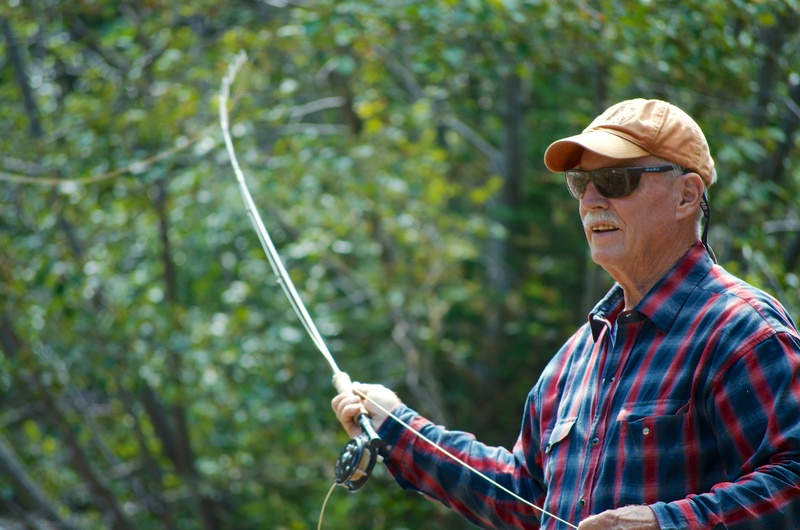 Bruce was passionate about the outdoors and spent as much time as he could either on the family land in Red Lodge or on the various rivers and streams around the region. He was known to drive to Red Lodge after dinner just to spend the night next to the rushing water of Rock Creek, get up the next day and do upkeep chores around the land. Bruce casting on Rock Creek in Red Lodge, Montana. Bruce treasured his time on the river with his friends, especially Scott Seacat, more than anything. Together, the two re-traced the Missouri River portion of Lewis & Clark’s journey whilst listening to the “Undaunted Courage” audiobook. But Bruce’s favorite trip, his favorite place in the world, was the Montana’s blue-ribbon trout fishery, the Smith River. Every year, he looked forward to his opportunity to get away from it all with his closest friends, whether the fishing was good or bad, whether there was rain, snow or sun (often in the same day) the trip was always a highlight of Bruce’s year. Bruce was a resilient and courageous man. He suffered a heart attack in October 2007 that required open heart surgery, a pacemaker and a defibrillator. After, he struggled with congestive heart failure symptoms to the point he was sent to Stanford Medical to be evaluated for a spot on the heart transplant list. The medical team at Stanford instead put Bruce on a severely restrictive low sodium diet, and he immediately made the changes to his lifestyle required to improve his health. He never ended up with a transplant but instead worked his way back to nearly 100% through diet, exercise and a contagiously positive attitude. The staff at Stanford found Bruce so inspirational that they used his story as the basis for a video to encourage other patients in similar situations to follow the same path. He was the success story. Bruce was told by Dr. Michael Fowler that he was one of the most courageous, inspirational and respected patients and many of the staff grew to know him during his biannual trips to Palo Alto. He formed friendships with his medical team at both the Billings Clinic and Stanford, including Dr. Barbara Dudczak, Dr. Fowler, Dr. Dipanjan Banerjee and members of their staffs. 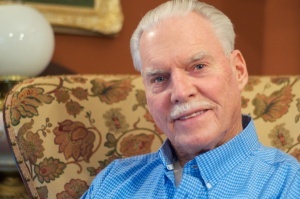 Bruce showed the same courage when he was diagnosed with esophageal cancer in the fall of 2013. He was stalwart during his multiple rounds of chemotherapy and radiation, through his esophagectomy and the recovery after. He fought valiantly, but unfortunately this was a battle that could not be won, as the cancer metastasized into his brain and further into his spinal cord. He continued to be an inspiration – the way he handled himself as his body shut down was nothing short of heroic. In the final weeks of his life, Bruce continued to give back. He offered many of his most cherished possessions as gifts to those he loved, including his fly rod and reel collection. He wanted others to enjoy what he had already had his chance to enjoy. He also donated many rods, reels and flies to Project Healing Waters, a charity he felt a strong connection to after participating in a trip and seeing the effect a fishing trip could have on a wounded veteran. We choose not look at Bruce as “the one that got away” but rather as an inspirational and beautiful catch that we eventually had to release. He leaves us, but not without rewarding us with lifetimes of memories and stories through which he will continue to be a part of our lives. Bruce Thornton Simon is survived by his wife, Sharon (and their dog Lacey), sons Tod (and his wife Catherine and dogs Sam and Lissy) and Dave (and his wife Amy and dog Kenai), daughter Becky (King), brother Ron (and his wife Myrna), cousin Tom Frisby (and his wife Kathy), nephews Scott and Steve, niece Suzanne (McMurtrey), niece Lisa Garuts (husband Dainis), grandson Casey Clinton, granddaughters Amanda and Morgan King, and great-granddaughter Audrina. He is also survived by many friends, colleagues and acquaintances he touched during his lifetime. Bruce said it best himself, “I’ve had a good life.” Some days he caught more fish than others, but he always enjoyed the journey. We wish we could hold on to him longer, but we will cherish the memories and he will always be with us. In lieu of flowers, please make donations to Project Healing Waters Montana or Rocky Mountain Hospice. Thank you. Click here to share your memories of Bruce. Copyright © Dave Simon. All Rights Reserved.